Workers and employees do their daily work with little variation in their performance. someday they would perform better than their daily average. Once in a while, they would surprise us with new initiatives or excellent work that deserve appreciation. On other days, their performance would be lower than expected. And once in a while, they are below our expectations or they could make undesirable mistakes. Supervisors and managers use different approaches to improve the employees performance or to bring it back to their average. Some use positive feedback, others use negative feedback. Both feedbacks would have desirable results, but which one is better than the other? The English publisher Thomas P. Jone once said “Honest criticism is hard to take, particularly from a relative, a friend, an acquaintance, or a stranger.” We love feedback when the feedback is positive and when it is announced in front of a group of people. We would be floating on white clouds all day because of this public acknowledgement. We would feel that this feedback should have been given publicly long time ago. We think that we have done an excellent job and it is about time for the rest of the world to acknowledge our achievements. We rarely accept the negative feedback and we would immediately ask the feedback giver for prove with details and witnesses to support what he or she has just told us. We normally go through denial and argue with the feedback giver without accepting or realizing the value of comments and we would finally accept it as a form of jealousy. Sometimes the negative feedback is nothing more than a quick comment coming from a friend who had a difficult day and needs a listener to blast his or her anger on. Author and business speaker Ken Blanchard said “Feedback is the breakfast of champions.” I believe that feedback (positive or negative) is constructive criticism as long as it shows us the faults, shortfalls that we have committed also distinguishes the good actions and achievements we have made. 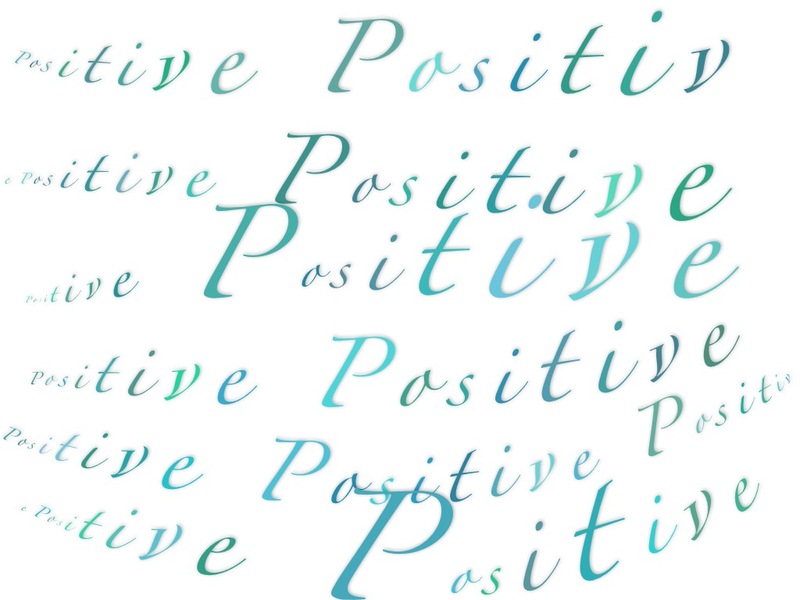 Positive or Negative is better? We give positive feedback and then notice that the employees performance decrease to the normal average within few days. If we notice that the workers’ performance is decreasing then we show them that emotional and “angry face” criticism which will make them jump back to their normal average performance almost immediately. This fact might be true but not accurate. Harsh negative feedback is nothing more than its name “Negative.” We should avoid such behavior whenever we can. We all make mistakes either we admit the mistakes or not. People might notice our big mistakes but sometimes they notice every mistake we make if they only look for mistakes even if they are not related to our performance. Negative feedback is a popular management tool because of its immediate effect. 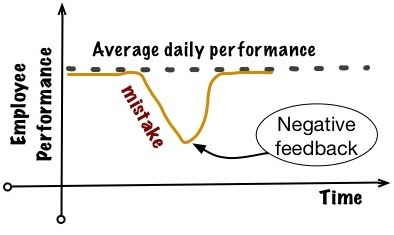 The negative feedback receiver would change his or her behavior to go back to his or her average performance. Some managers and supervisors would be happy to bring the employees to their average performance quickly and they see the negative feedback as faster and more effective. The supervisors would be happy to repeat the negative feedback again when necessary as long as they get this kind of change quickly. Negative feedback also has intangible values to the feedback giver. The value would be in the form of ego boost and authoritative power. It is important to mention here that giving corrective and positive feedback to the employees when they make a mistake would have similar affect on them. So next time you see an employee or a worker committing a mistake think positively and give him or her a positive and constructive feedback instead of the usual “name and blame” feedback. Positive feedback is needed always, especially when the employees are doing extraordinary work or when they are doing their normal daily work. 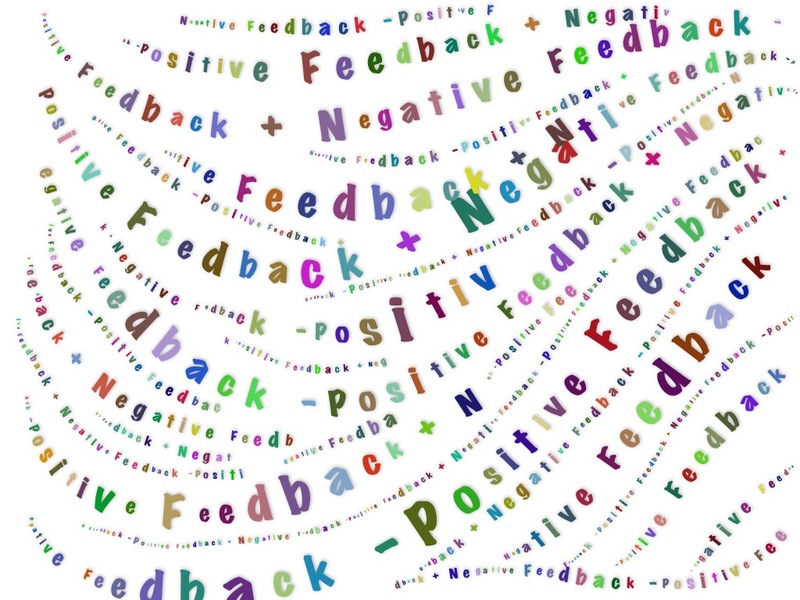 Giving positive feedback would alway boost morale, improve behavior and enhance the giver’s and the receiver’s moods. There is always an argument that negative feedback is more effective and faster in bringing results than the positive feedback. The negative feedback giver would argue that when an employee does a good job and we give them positive feedback they do not stay at that high level of performance, rather, they seems to go back to their average performance within few days. This argument has some truth to it but the high achievers would always go back to their normal average performance but with slight improvements because of the encouragement from the positive feedback they received. The overall effect of the positive feedback would be on the positive side. 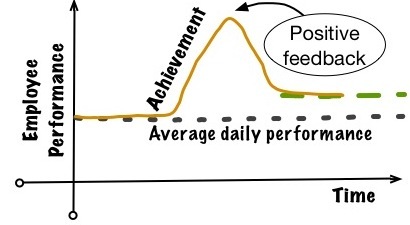 The daily average performance would improve and the employees would always repeat the achievements he or she made. The positive feedback is a continuous motivation tool that encourage workers to look for new initiatives. Get the facts about the subject you are going to criticize. Make sure you know the gap between your expectations and what was done by the person you are criticizing. Meet the person in a convenient place for both of you. Make sure that your discussion is private. Your office is always the preferred venue is these situations. Explain the purpose of the meeting and assure the person that this feedback time is for the benefit of both of you. The benefit for him or her would be not repeating the same mistake (low performance) and for you to get the relation (or job) going in the best way. You may add that this feedback session is difficult for you to give and not easy for him or her to accept. But assure them that the intention is “constructive criticism”. Briefly state some of the good qualities (performance) that the person is currently doing. This step is used to reduce their tension. Some experts do not recommend this step because it may conflict with the message you are trying to give. Use your judgment to either do this step or not, according to the situation. Point out the mistake, fault or low-performance (criticism). Give example of what the person had done and what was expected from him or her. Establish the gap and support it with evidences. Make sure that the person understand the gap. Some smart trouble makers would end the feedback session without agreeing to their mistakes. They will argue later on that you discussed the subject casually, you never explained what they did wrong. Suggest a way to remove the obstacles or explain the right behavior you need from them. Sometimes the instruction or procedure was difficult for them to understand or follow. Explain what they should do in similar situations. Reach an agreement with the employee that he or she understood what went wrong and they understand what they need to do in future situations. If this criticism is done in a work environment then record (by writing) the meeting highlights and the required actions. Set target date for each action for you to follow up and for the employee to set his or her priorities. Thank the person for their understanding and their positive way in accepting the criticism. Agree on a follow up meeting if necessary. You: ” I noticed some interesting situations in your workplace and I think we need to discuss it, do you have the time to discuss it now” (if the answer is no then ask when you can discuss it in the near future). “I am just trying to correct this situation in the best way I can and if you chose not to work with me to change it, I would have to …… “. However, if you and the employee had reached an agreement on the employee’s wrongdoing or the shortcoming then the discussion can proceed as in the following. You: “Good, I am sure you will do better in an organized/clean/safe place. Thank you! I am glad that you find this post useful. I always do my small part to improve management in Kuwait in general by writing things like this post. Thank you for stopping by and commenting. Are you Sam Alkadami who works with LAUSD? No, sorry I am not.